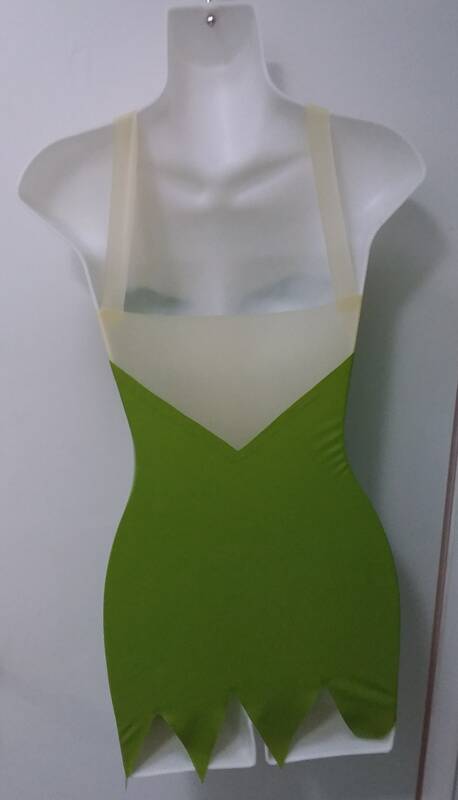 This fun little sheath dress has a sweetheart shaped bust line and a transparent triangle cut-out on the back. The bottom hem is shaped into points for a fairy look. The dress has thin transparent shoulder straps to help support the top. This dress is finished and ready to ship! It's a size XXSmall, and would fit best on bust measurements 28-30 inches, waist measurements 22-24 inches, and hip measurements 28-30 inches. This dress is very short--it's only 10 inches from the waistline to where the top of the triangle cut-outs around the bottom start, so you may want to plan on wearing something underneath it. 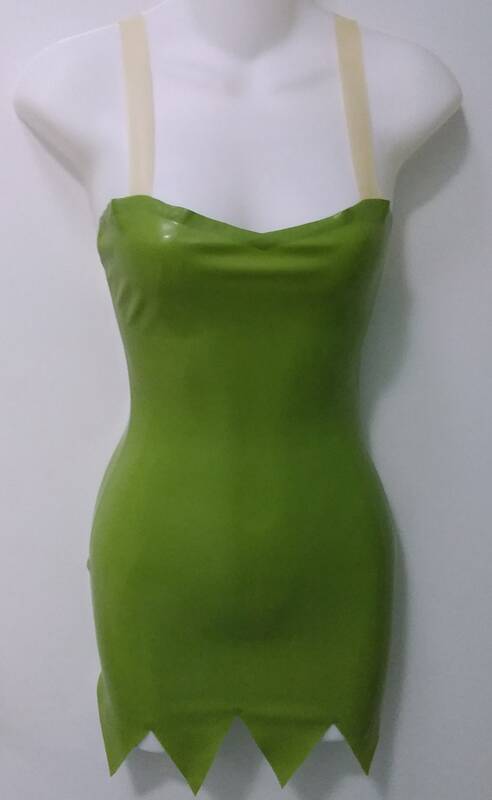 The dress is made of high quality latex sheeting in .40mm (medium) gauge. 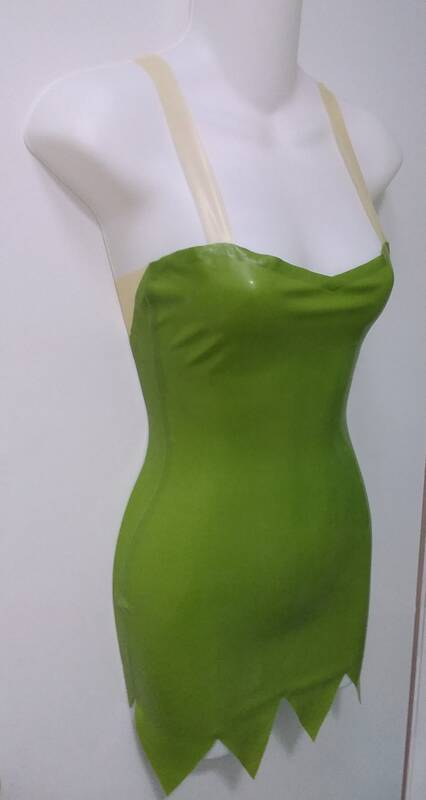 The main part is Natural Green, and the back cut-out and shoulder straps are Natural (un-dyed) latex.